We’d love your help. 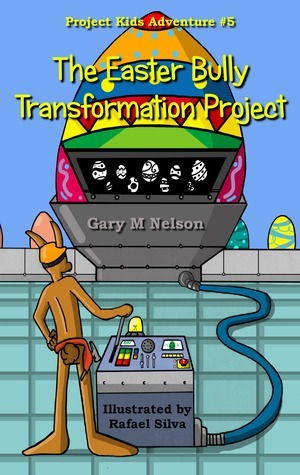 Let us know what’s wrong with this preview of The Easter Bully Transformation Project by Gary M. Nelson. As one small idea takes on a life of its own and one of their own is struck down in their The Project Kids really have their work cut out for themselves this time. After Peter Johansen nearly destroyed the Valentine’s Dance, you might expect the Project Kids to be glad to see the last of ‘Pimple Pete’. So why are they reaching out to him - and what do they hope to achieve? To ask other readers questions about The Easter Bully Transformation Project, please sign up.